Hello Gardeners, I’m Amanda McNulty with Clemson Extension and Making It Grow! Recently, over 100 people attended a field day at the farm of Jason Carter in Eastover. Jason is converting from strip-till to no-till. He is drastically reducing his use of pesticides and synthetic fertilizer and yet his yields are envious. How’s he doing it – through cover crops! He is getting nitrogen from chicken litter applications and from the breakdown of legume cover crops – the ones that can fix nitrogen through a symbiotic relationship with soil organisms. It may be hard to find them, but, now is the time to buy your Rabbit Eye Blueberry plants and get them in the ground. Amanda McNulty gives tips on preparing the best bed for your Blueberry plants. Tonight on Making It Grow! Amanda McNulty gives us a preview of what's coming up on tonight's Making It Grow! on your local South Carolina ETV station, at 7:00. James Bland Quantz's breakthrough Pecan cracker and sheller has been a huge boost for Pecan processors. Harvesting pecans can be tedious. A mechanical tree shaker streamlines the process. Southern Pecan harvests are plentiful--but the crop is always under attack. China is now importing record amounts of Pecans. 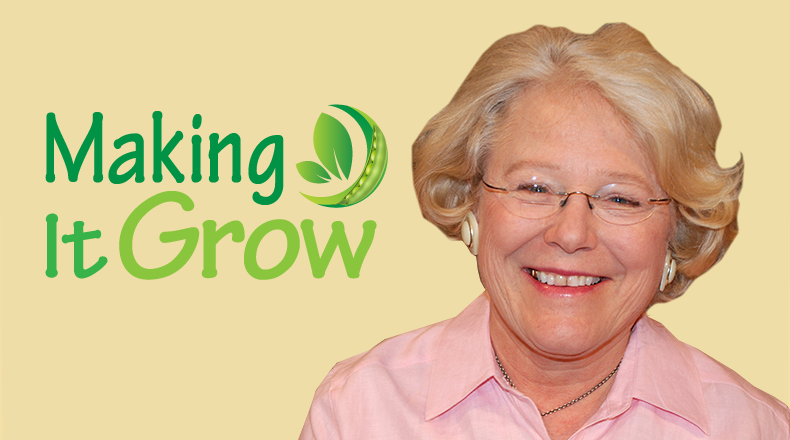 Tune in to your local South Carolina ETV station tonight at 7:00 for Making It Grow! Amanda McNulty tells us about "Scab" - the major disease of Southern Pecans. Want fewer mushrooms on your lawn? Keep it watered during dry spells. Amanda McNulty explains. Making It Grow! 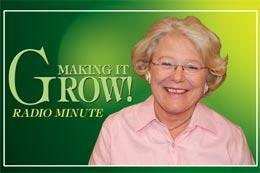 host, Amandy McNulty, advises against dumping you grass clippings! The herbarium of Naturalist Henry William Ravenel (1814-1887) will soon be accessible to the public on line. Click here for more. Amanda McNulty explains how to get rid of fairy rings in your grass. Amanda McNulty explains what fairy rings are and they are not from a fantasy book. Amanda McNulty talks about how the 4H Club got started. Making It Grow! host Amanda McNulty talks about the 100 years anniversary of the Smith-Lever Act of 1914 and one of the creators of the federal legislation, Frank Lever. Amanda McNulty talks about heavy rain and how phosphorus pollution is started. Today is the day to stop fertilizing.